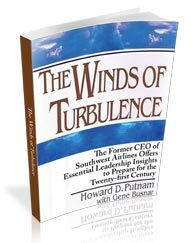 This questionnaire enables Howard Putnam to tailor his presentation to meet your needs. Please answer all relevant questions skipping over any which may not apply due to the nature of your program. Special Request: When returning this form, please enclose any printed material you feel would help Howard better understand your group. This might include annual reports, newsletters, magazines or brochures promoting your event. Please note: This questionnaire is Howard Putnam’s first step in preparing for his presentation at your event. To ensure a program that is tailored to meet your needs it is imperative that it be returned on or before the above-mentioned date. Thank you! Your help will increase the value of this program.